With the publication of his two early works, Black Theology & Black Power (1969) and A Black Theology of Liberation (1970), James Cone emerged as one of the most theological voices in North America. These books, which offered a searing indictment of white theology and society, introduced a radical reappraisal of the Christian message for our time. Joining the spirit of Malcolm X and Martin Luther King, Jr., Cone radically reappraised Christianity from the perspective of the oppressed black community in North America. Forty years later, Cone's work retains its original power, enhanced now by his reflections on the evolution of his own thinking and of black theology. 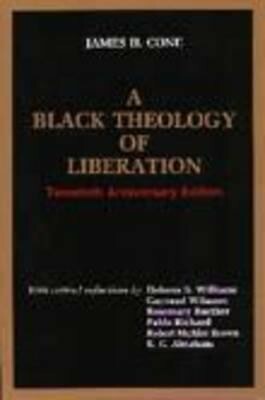 I'm the author/artist and I want to review A Black Theology of Liberation: 40th Anniversary.